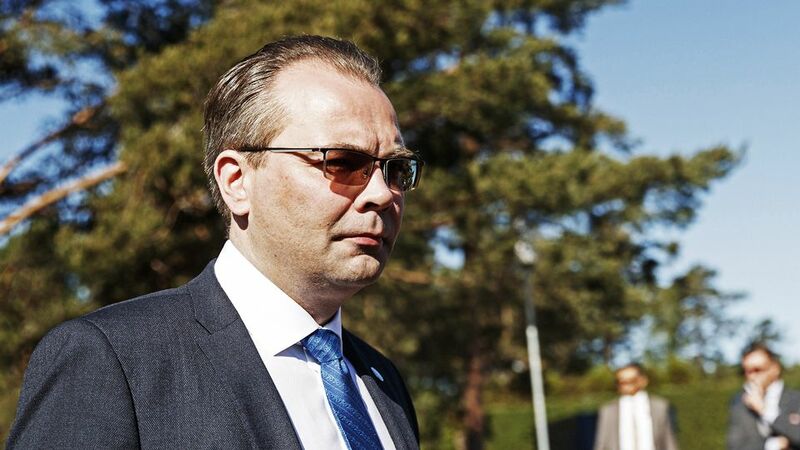 Jussi Niinistö suspects Russian Defence Minister Sergei Shoigu's diatribe is just a ploy to redirect attention away from the country's internal problems. Russia's Defence Minister Sergei Shoigu made waves after declaring on Tuesday that Russia would react if Finland and Sweden joined the US-led military alliance of NATO. Finland's Defence Minister Jussi Niinistö is not shaken by the sabre-rattling from his Russian counterpart, saying that the same kind of rhetoric has been heard many times before from Finland's eastern neighbour. "Minister Shoigu – or Russia in general – doesn't want Finland and Sweden to join NATO. That's the message here and we've heard it many times before. Yes, the Finns can sleep safely in their beds tonight," the Finnish minister reassures. He even ventures to posit that the pronounced rhetoric of Shoigu is just an effort to turn people's attention away from difficult issues within Russia. "It could be that this is some kind of effort to rally the troops. Russia is confronting some large-scale domestic problems, the largest of which right now is perhaps pension reform. Stirring up a fear of the West might get people to think about something else," Niinistö says. Jyri Raitasalo, military professor of war studies at the Finnish National Defence University, also doesn't find anything to be concerned about in Shoigu's comments. "The way I see it, this is a very traditionally Russian way to view the security situation. In this respect, these latest comments from Moscow are nothing new – just a rehashing of old arguments as linked to earlier events," he says. Raitasalo says it is typical for Russians to focus on big picture development trends, citing several factors at once to prove their point. In this case, Defence Minister Shoigu referred to several separate agreements to make his case. "One individual agreement or event rarely has enough significance to change the security climate in Europe, or at least not enough that Russia could claim that it would," he adds. Finland's current President Sauli Niinistö (no relation to Defence Minister Jussi Niinistö) is scheduled to pay a visit to Russia in August. Jussi Niinistö finds it odd that Russia's Defence Minister would have this kind of outburst so quickly after Russian President Vladimir Putin's recent trip to Helsinki, where he publically praised the bilateral relationship between Finland and Russia. "It's surprising in this regard, and a topic that the two presidents could discuss when they meet – if they think it is a subject worth broaching," says the Defence Minister.